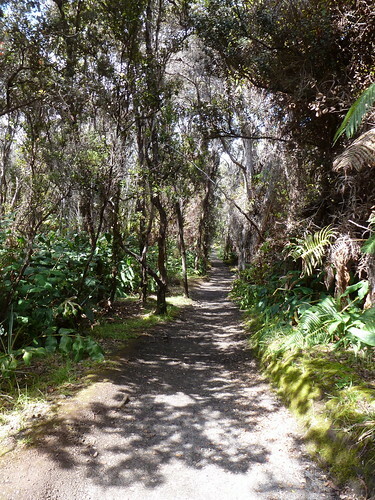 Here we have some pictures taken on our trip to the big island of Hawaii. 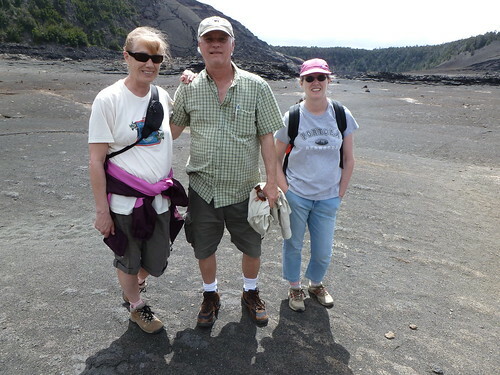 Mellowcat, Mrs. Mellowcat, and the Boise Song Talks hiked down, across, and up out of the Kilauea Iki caldera. This is an awesome hike, as you will soon see. It looks like this from the parking lot lookout on Chain of Craters road. There are very tiny dots down there on the trail that are actually people. The walk down is steep, and pleasantly cool. 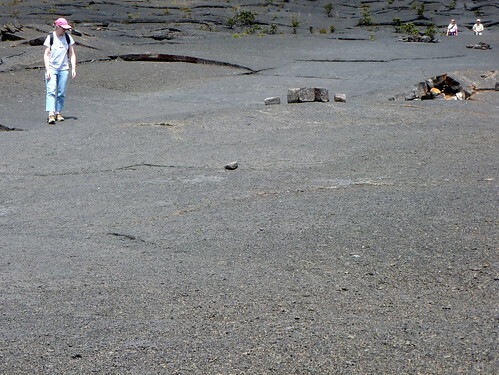 Now we’re down on the caldera floor. Like they say, it doesn’t have to be fun to be fun. I thought it would be super hot down here, but it was not too bad. Soon after this picture was taken we encountered a swarm of bees by that hill behind the team. Pandemonium. Does this look like a giant brownie to you? There are some who say that there is a resemblance. Walking out. Pleasant, if steep. 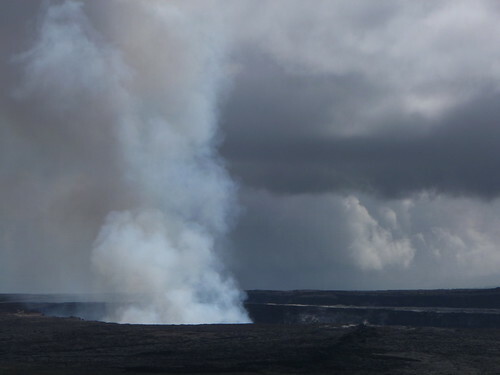 My camera zooms in good, and I was able to snag this view of the main Kilauea Crater plume from our location. We got a closer look the next day. 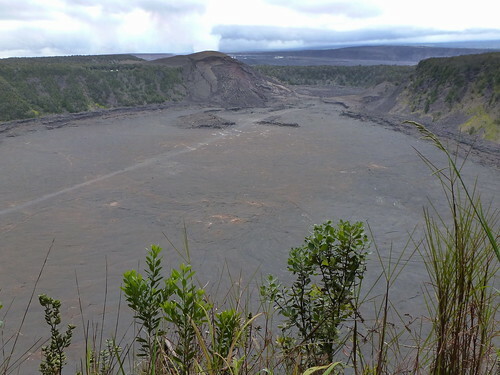 There you have it; Kilauea Iki. It is a decidedly awesome hike, and I strongly, strongly encourage you to check it out. 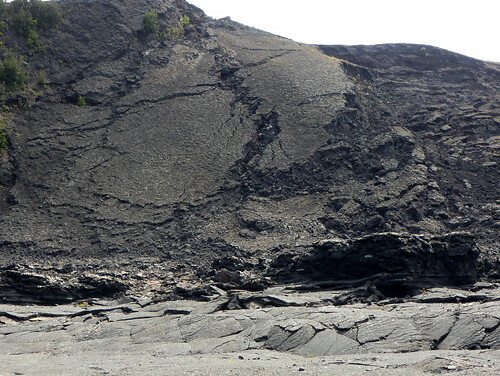 And there are some great short films available of the last major action in Kilauea Iki in late 1959.